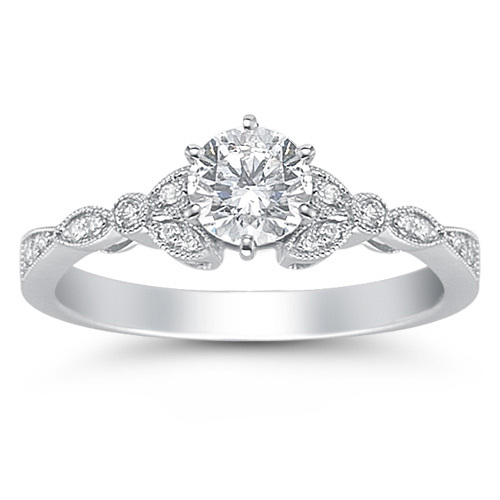 Set with a high quality, 0.75 Carat Diamond Center (3/4 Carat) and side diamonds totaling 0.20 carats for a total of 0.95 carats of diamonds. Our unique Diamond Flora Ring in 14k white gold is made using only high-grade G Color, SI1 quality diamonds. Apples of Gold Jewelry guarantees the 0.95 Carat Diamond Flora Ring in 14K White Gold to be of high quality and an authentic engagement ring with real diamonds, as described above.